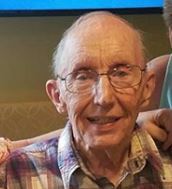 John Mifflin Oldach, son of the late William H. Oldach, Sr. and Marguerite Graham Oldach of Germantown, Pennsylvania and a lifelong resident of greater Philadelphia, died peacefully at the age of 88 on November 4, 2018. Uncle John, as he is affectionately known to his nieces and nephews, was a resident of the Philadelphia Protestant Home since 2015, having previously maintained a home for decades on Bustleton Ave. in the Frankford area. John had two older brothers, the late William H. Oldach Jr. of Chestnut Hill and Hugh G. Oldach, Sr., of Vero Beach, FL. Born in Germantown on May 16, 1930, John at a young age showed a great affinity for the natural world, becoming an accomplished birder and bird whisperer. His ability to nurture plants and gardens was remarkable, and this latent gift was honed at the W.B. Saul High School of Agricultural Sciences (formerly the Wissahickon Farm School) on Henry Ave. in Roxborough, where he was an early graduate. Following WFS, John operated his own landscaping business for a period, and then began a long and deeply satisfying career at the Fairmount Park Horticultural Center. Family and friends alike through the years have learned immeasurably about flora and fauna from his keen observation and vivid anecdotes. John was a devoted member of Crossroads Bible Church of Huntingdon Valley, PA, where he embraced the grace of God and the transforming power of Christ. John’s dedication to the care of members of his fellowship group, and to anyone in need whom he was capable of helping, is his defining and most cherished characteristic. John is lovingly remembered by his surviving brother, and by his many nieces and nephews: William H. Oldach, III, of Potomac, MD; Elizabeth Silhol, of Vernouillet, France; Hugh G. Oldach, Jr., of Salisbury, MD; John E. Oldach of Ventura, CA; Margaret Flowe of Potomac, MD; David Oldach, of Boston, MA; and Sarah Fowler, of Bethesda, MD. John is also deeply and lovingly remembered by his Crossroads Church family, including his dear friends Bill and Liuba Venneri, who regarded him as a loyal brother. Relatives and friends are invited to John’s Memorial Service on Monday, November 12, at Crossroads Bible Church, 855 Old Huntingdon Pike, Huntingdon Valley, PA, 19006 at 10:30 a.m., with visitation at the church held prior to the Service from 9:30-10:30. In lieu of flowers, contributions in John’s name may be made to Crossroads Bible Church.